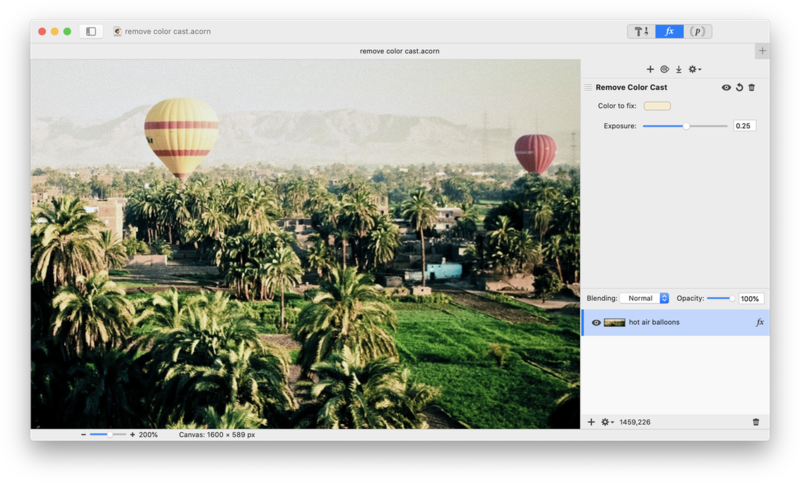 Acorn offers a ‘Remove Color Cast’ filter which is great for removing pesky tints on your images. 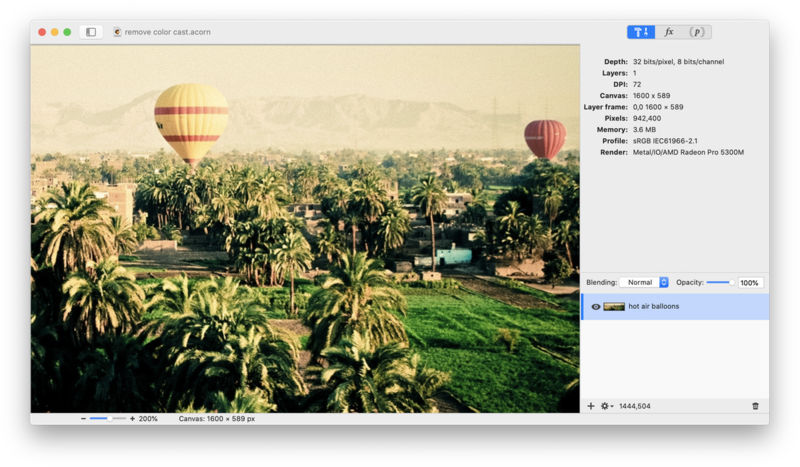 This tutorial will guide you through the basics of using this filter. An alternative technique for removing color casts is to use curves. You can read more about curves here. Open your image in Acorn, File ▸ Open. The image in this example has a very yellow tint to it that we want to fix. Go to Filter ▸ Color Adjustment ▸ Remove Color Cast. Click on the color well in the filter window where it says ‘Color to Fix’. The colors palette will appear. Click on the eyedropper next to the color swatches. 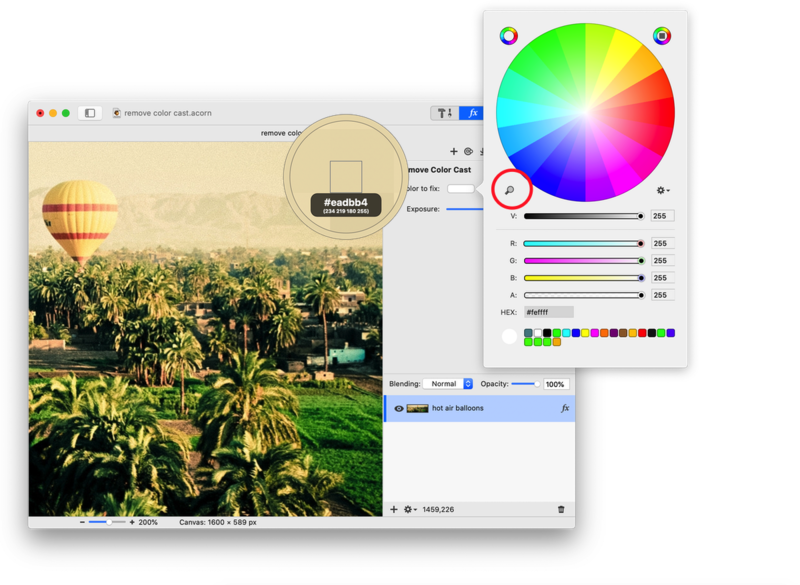 Now use the eyedropper to click on the color in your image that you want to adjust. Play around with adjusting the exposure slider. Super easy!